Apple has just announced its new mobile payment system, dubbed Apple Pay. Confirming early rumors, the iPhone 6 will come with NFC (near field communication) integration, which will be used to power the payment system. Apple has long been a holdout in integrating NFC, with almost every other premium smartphone, including most current android phones, already boasting the feature. As of yet, NFC-based mobile payment systems have not taken off. With Apple’s support, we might finally see the “digital wallet” of the future become a reality. Apple boasts 220,000 merchant partnerships for its initial rollout of the payment system, including Whole Foods, McDonalds, Walgreens, and Duane Read. Apple has also partnered with the likes of Mastercard, Visa, American Express, and Capitol One, along with a host of banking institutions, to round out its payments platform. How will it work in practice? It seems to be relatively simple. A consumer can link their existing credit or debit card accounts to their iPhone 6, and then use TouchID to pay for items with the touch of a finger. 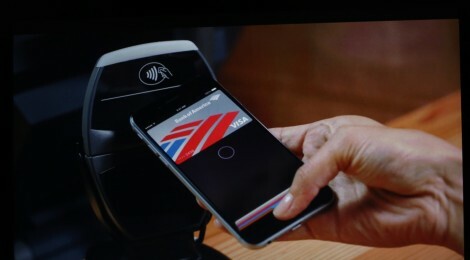 NFC will be used to allow consumer’s iPhones to communicate with payment terminals in close range. 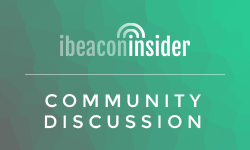 There are also theories out there that iBeacon will be used as a secondary form of authentication, perhaps being used to “wake up” a consumer’s iPhone 6 while they’re waiting in line, making for a frictionless experience. Apple Pay will launch next month as an iOS update. Will you be ditching your wallet for Apple Pay? Let us know in the comments!